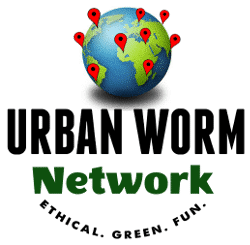 Join the Urban Worm Network and Let Us Know Where You Are! The Urban Worm Network is an interactive map of vermicomposters and vermiculture-related businesses across the globe. See how how many other vermicomposters are nearby or find businesses in your area. Where Can I Buy Worms and Worm Castings Near Me? Greetings! While you might be able to find businesses using the interactive map above, the list below will show you where to buy worms, worm castings, or vermiculture-related supplies near you, saving you time and cost for shipping. If you want to purchase an Urban Worm Bag bundled with discounted worms, you can buy it directly from the Urban Worm Company.